Brian Butch’s basketball career started in the Fox Valley. After the Appleton West High School standout was selected as a McDonald’s All-American alongside the likes of LeBron James and Chris Paul, he attended the University of Wisconsin and was an instrumental part of a Badgers team that made tournament runs and was at one point ranked number one in the country. Following his impressive collegiate career, Butch played internationally in Japan, China, Greece, Dubai, Germany, and the Philippines, as well as the NBA’s D-League (now called “NBA G-League”) during his 10-year professional basketball career. Butch’s latest stop brings him back to the region where it all began, this time as a coach. 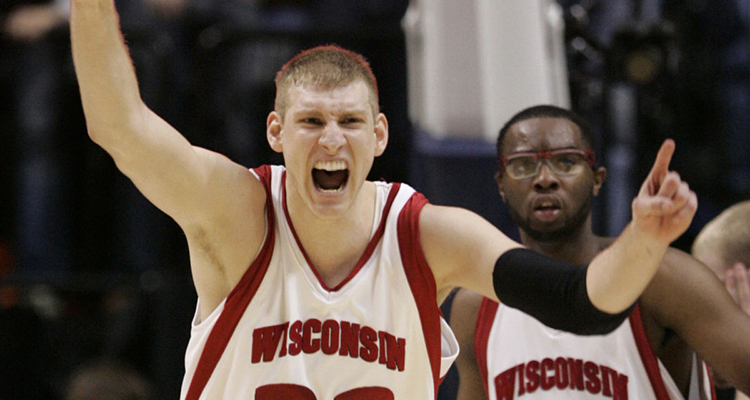 The Wisconsin-born big man recently accepted a position on the coaching staff of the Wisconsin Herd, a G-League expansion team and Milwaukee Bucks affiliate franchise based in Oshkosh. Milwaukee Record‘s Tyler Maas made the drive to Oshkosh and met up with Butch at Herd facilities. There, Maas—who grew up one town away from Butch and graduated the same year—asked the highly touted prep player about the pressure he faced in high school, what it was like to be a Badger, how he adjusted to playing internationally, the misconceptions people have about the G-League, and what fans can expect during the Herd’s inaugural season. This episode is brought to you by Surly Brewing, which is giving back in various locally focused ways with the its “Surly Gives A Damn” initiative. Music comes courtesy of Piles (“Blue Glue”) and Blonder (“Fall Leaves”). Subscribe to On The Record via iTunes or Stitcher (for free! ).